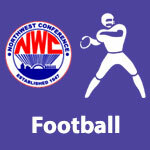 October 2015 – NWC-Sports.com | The Official Site of the Northwest Conference for nwc news, nwc scores and more. 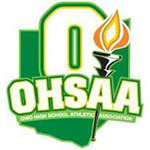 The weekly OHSAA Football Computer Rankings were released and 4 NWC schools would be in the playoffs going into the final week. 2 NWC schools were ranked in the eighth and final weekly Associated Press poll of 2015. Spencerville was ranked 9th and Delphos Jefferson was ranked 10th in Division VI. Bluffton senior Tucker Routson was voted the 2015 Northwest Conference “Player of The Year” in a vote at a meeting of conference boys’ soccer coaches held in Delphos. Austin Leeth, a senior from Lincolnview, finished second in the balloting. Steve Smucker of Bluffton was selected as “Coach of the Year” in the balloting. 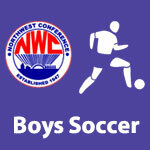 This was the initial year for boys’ soccer as a conference sport in the Northwest Conference. 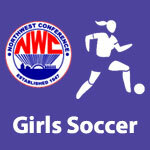 Delphos Jefferson freshman Maddie McConnahea was voted the 2015 Northwest Conference “Player of The Year” in a close vote at a meeting of conference soccer coaches held in Delphos. Leah Casey, last year’s player of the year, finished second in the balloting. Lamar Houston (Allen East) was selected as “Coach of the Year” in the balloting. Ada sophomore Melina Woods was voted the 2015 Northwest Conference “Player of The Year” at a meeting of conference volleyball coaches in Delphos. Woods had also earned first team honors as a freshman in last year’s balloting. 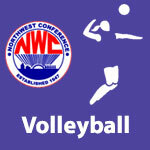 Kevin King of Bluffton was voted NWC Coach of the Year by his peers. Ada and Paulding finished the year as co-champs in the league with identical 7-1 records in league play.